Request Your Free Site Trial today! At Resiblock we are happy to provide this service FREE OF CHARGE for the benefit of the client, specifier and contractor alike. 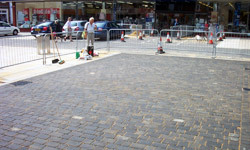 The decision to specify and install a Resiblock paving sealer is the right one, by doing so we promote good long term interlock within the paver system, preventing sand erosion via the joint from both natural and manmade forces, whilst providing excellent stain resistance to the paver surface. 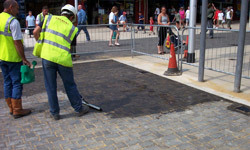 A FREE Site Trial by Resiblock will enable you to evaluate your RESIBLOCK product onsite and see our paving sealers in action – we come to you and install on your block paving so that you test RESIBLOCK for yourself in your project. To book a Site Trial simply provide the following information or telephone us on +44 (0)1268 273344.